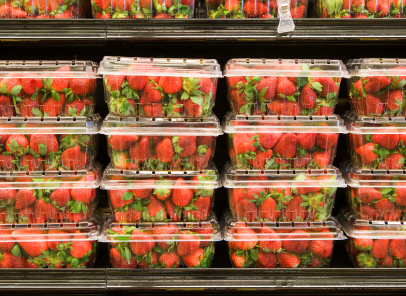 Improving packaging is important but it is only one factor in ensuring that perishable foods are kept fresh. Simply having a super package with lining materials that reduce ethylene (for example) doesn’t do anything to reduce or eliminate issues related to temperature mishandling that can dramatically impact freshness, quality and food safety. While it’s great to see that consumers say that they are willing to spend a bit more for the benefits above, it’s not reasonable for the consumer to understand all of the elements that go into delivering fresh, high quality food. That’s up to the industry to manage and the consumers look to retailers and brand owners to deliver on this promise. Learn more about the impact of temperature on quality here. This entry was posted in Perishables and tagged Cold Chain, Food Quality, Food safety, food waste, freshness, grocers, growers, Intelleflex, Produce, progressive grocer, temperature monitoring. Bookmark the permalink.